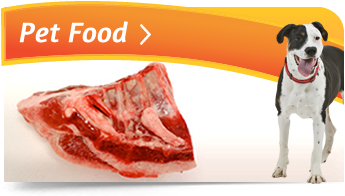 We have been using Nosloc raw pet foods for a Bulldog and a Maltese-Chi Tzu for a while now with outstanding results. Having had numberous NZ Bulldogs, I have experienced the repercussioins and costs related to skin ailments in local breeding stock. I am pleased to say the days of changing from one pet food to another to find one that doesn't cause a reaction are gone. We have a happy, energetic, and lean bulldog with a shiny coat and a tick from our vet on her excellent bill of health. Both dogs enjoy the Chicken mince and the Beef Supreme, but we have found to our suprise that the Chicken/ Hoki mix is also well received. We are extremely satisfied customers. Thankyou Lorraine and Dennis for your excellent service and especially the delivery service you provide to those of us outside of Te Kuiti. Great communicaion and prompt delivery. 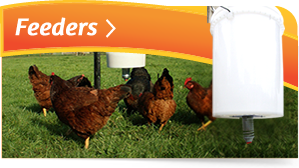 Excellent solution for feeding the hens and not every other bird in the vicinity! Pays for itself in no time. Haley Reid, Pahiatua. What an awsome product!!! Works a treat with my ducks. Will be getting another one soon. Highley recommend this product. Jeff Mc Clintock, Cheviot. Great trade, prompt delivery. Nosloc is a fantastic product. Took our chickens less than 24 hours to figure it out!!! Much better than the stand on feeders which just spooked out chickens! Alana Brett, Wanaka. Hiya Lorraine, Just a follow up ont he chicken feeder. What a great product! My chickens sussed it out very quickly, I've stopped feeding all the local doves and my feed bill is way down. Cheers, Patrick and the girls. This is so much bettter than I thought it would be! It's an excellent size, robust and works well! I have set it up for bantams and they learned how to use it immediately. Definately a bunch of time and I can see that it's already saving me feed as i can have my free-ranging for longer (eating bugs) and the sparrows aren't getting their pellets. Cheers, Jake (Trade Me Order).